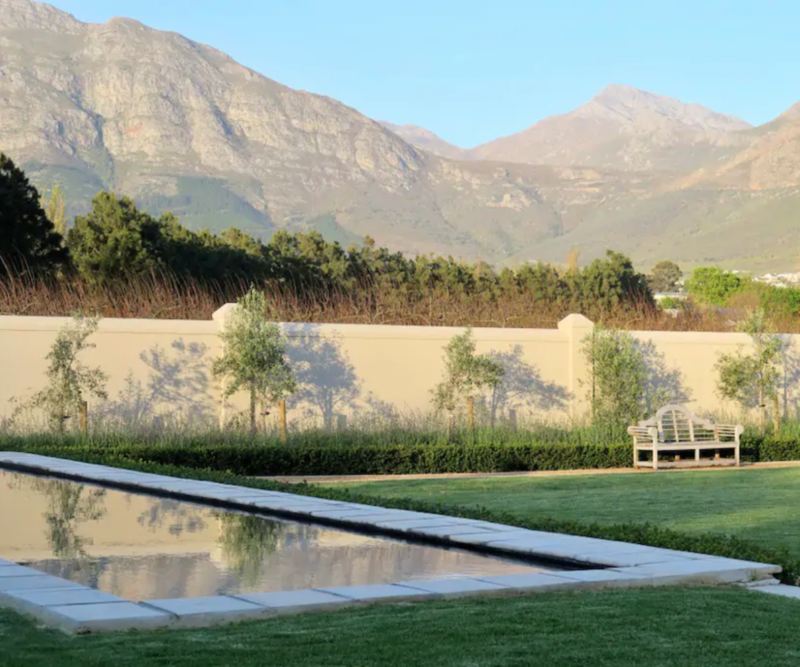 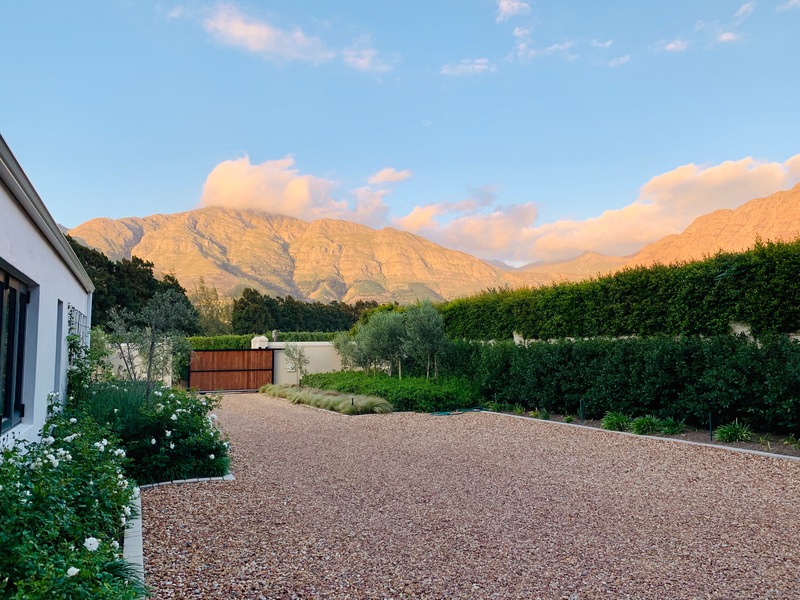 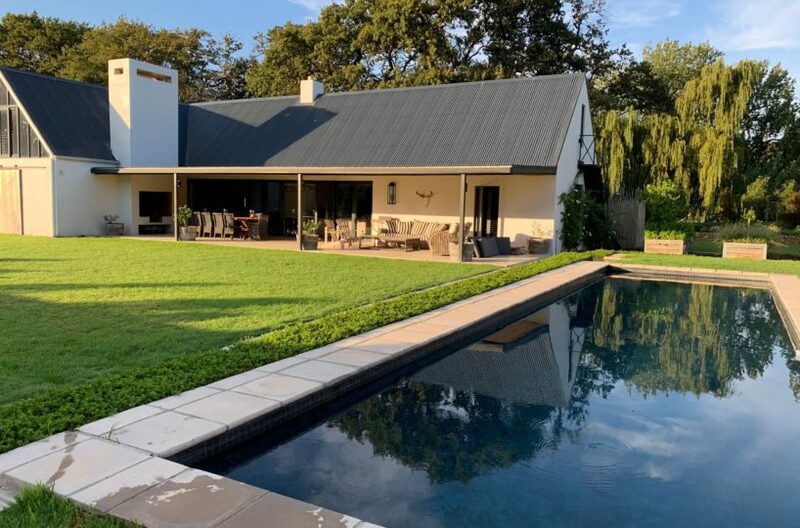 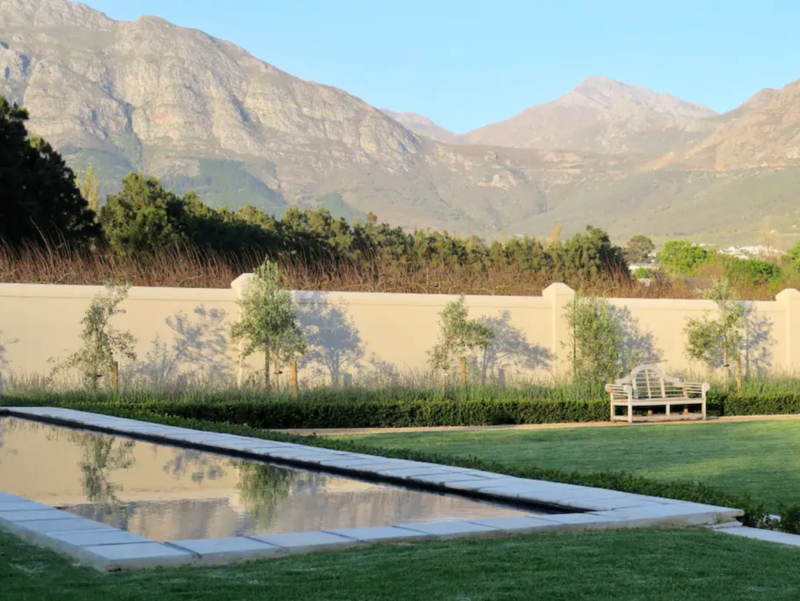 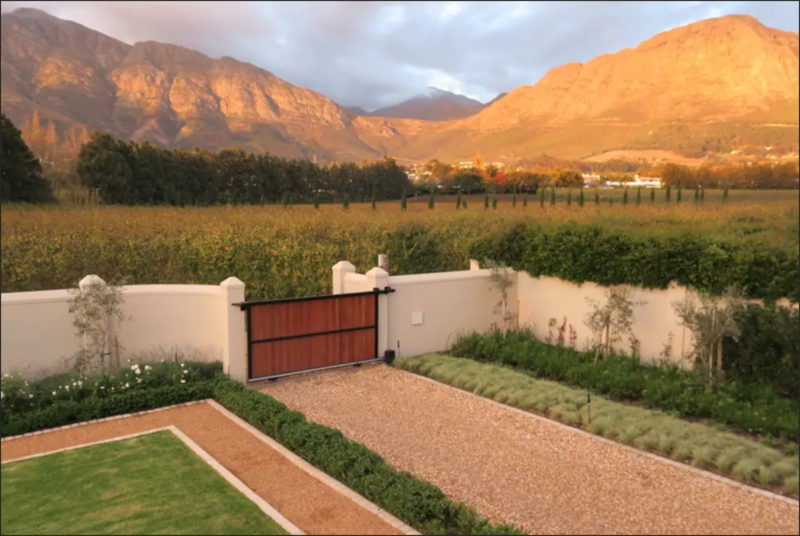 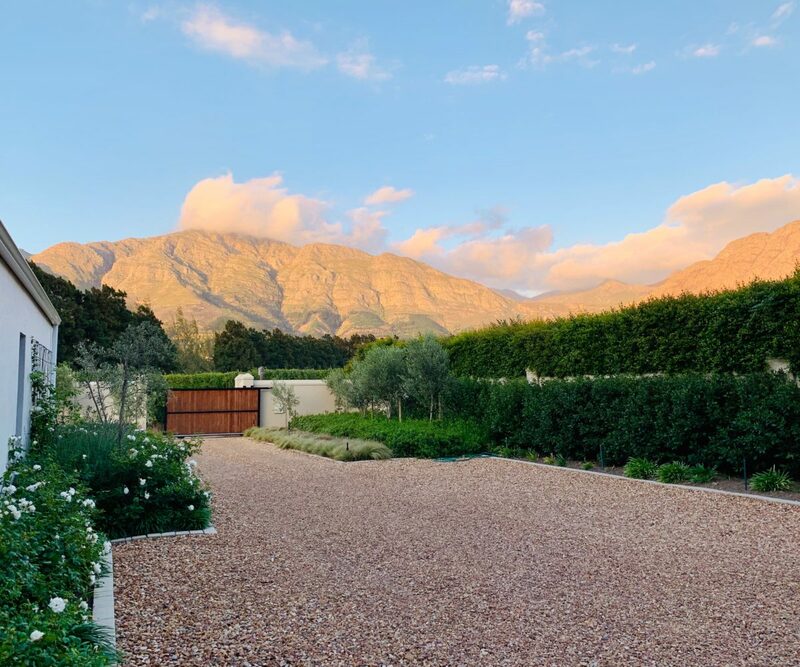 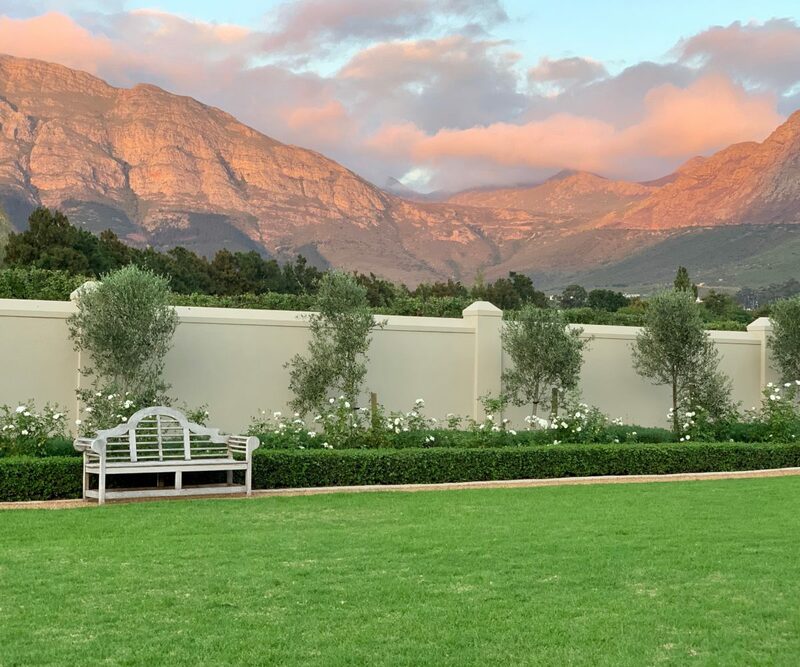 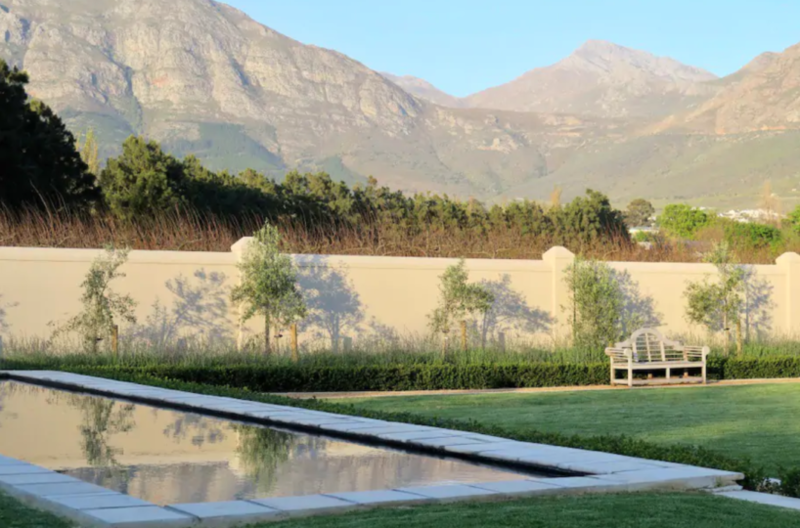 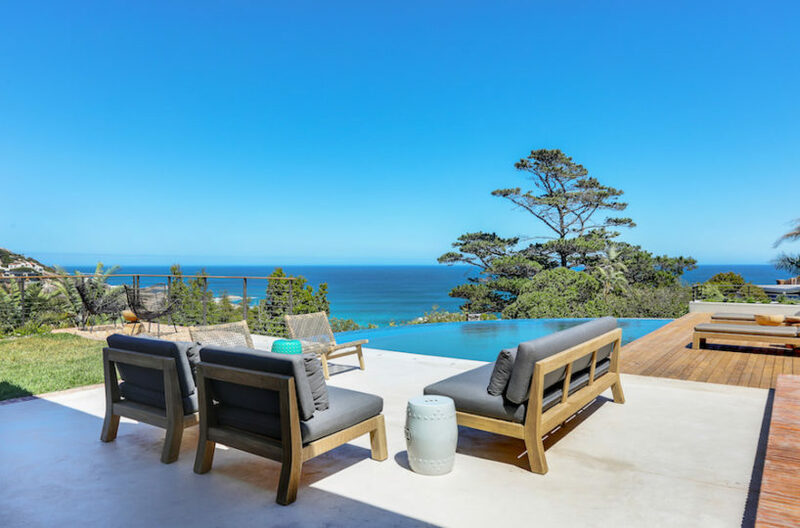 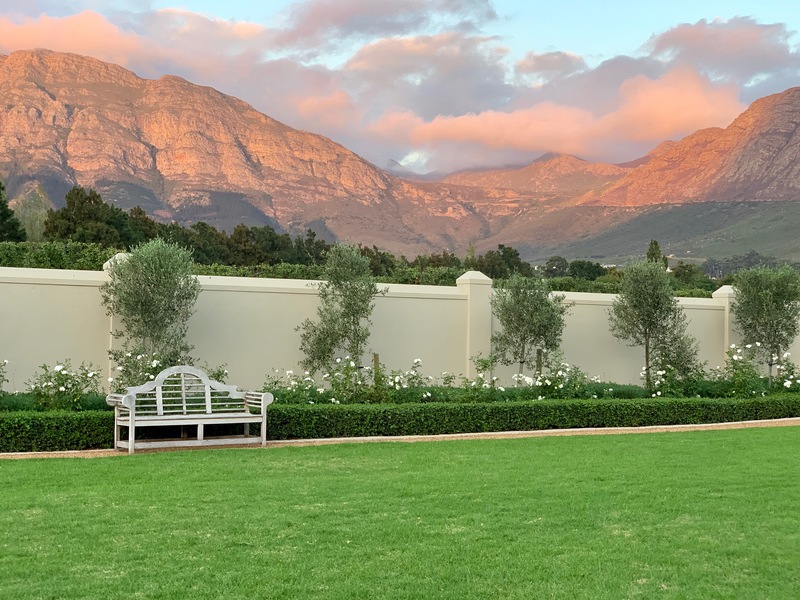 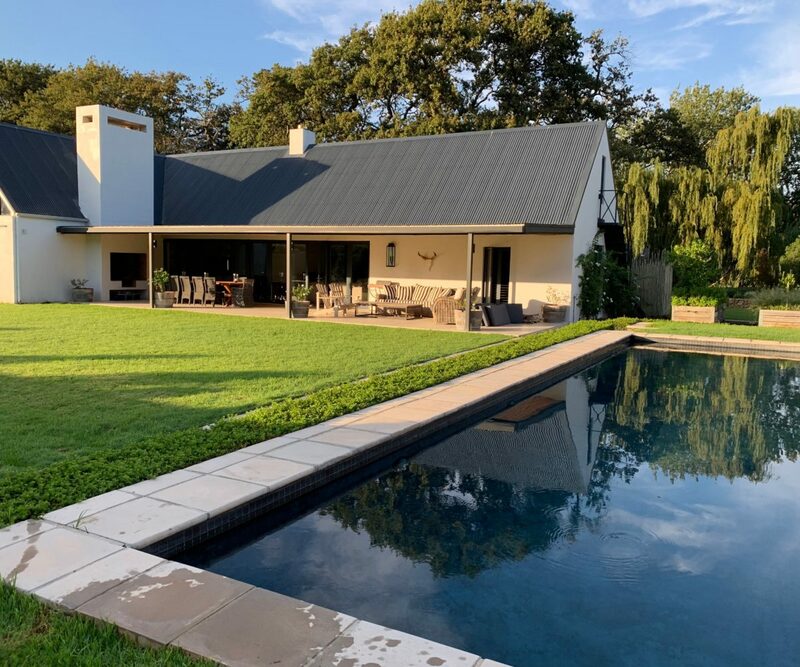 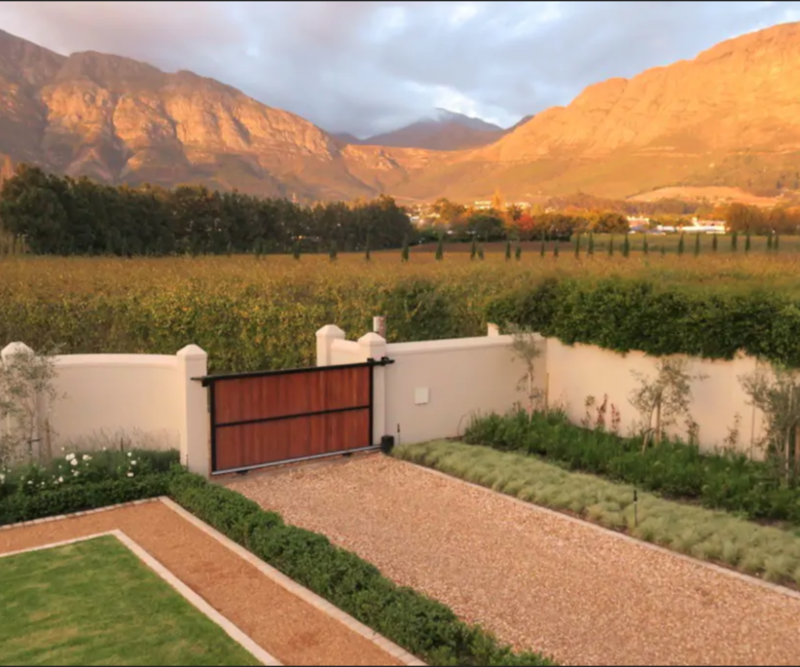 Overlooking plum orchards, lush vineyards and the panoramic mountain scape, in the spectacular valley of Franschhoek, lies the prestigious River House at La Grange de Cabrieré. 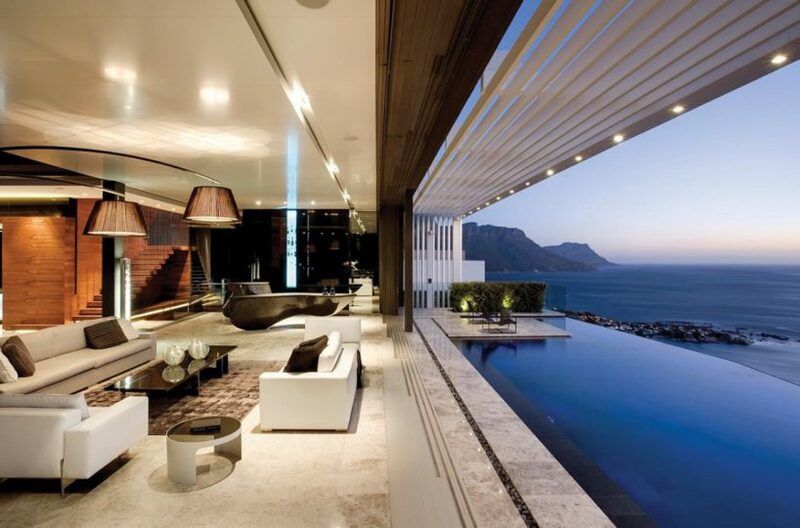 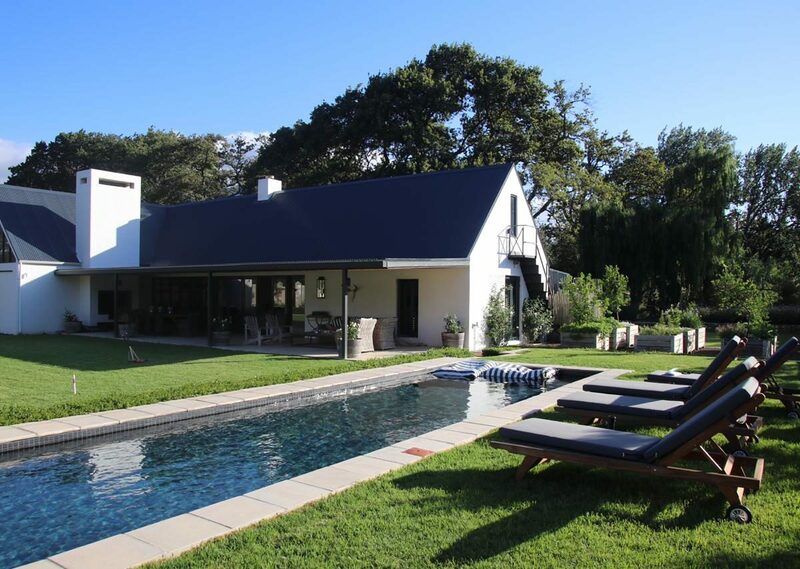 Only an hour from Cape Town, the River House boasts gastronomic excellence, art galleries and beautiful guesthouses. 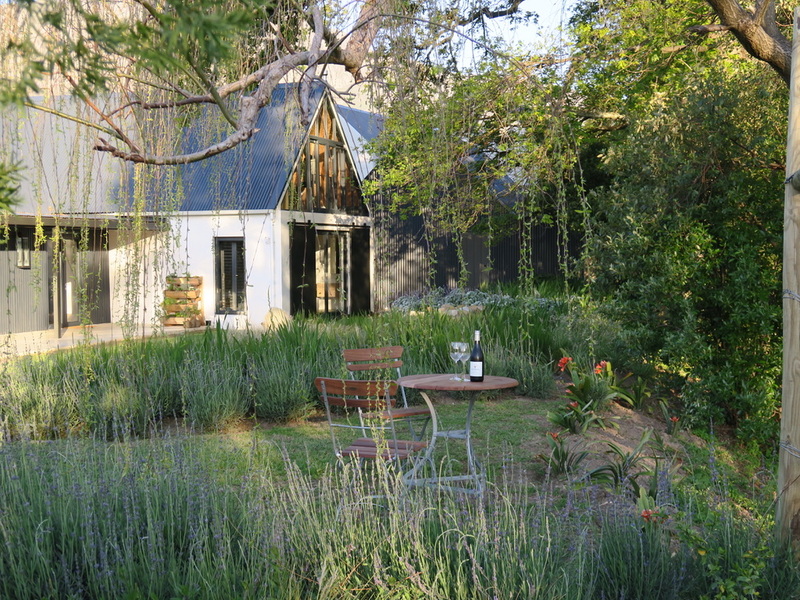 The farm is perfectly located for anyone wishing to truly experience the Winelands and taste it’s award-winning wines. 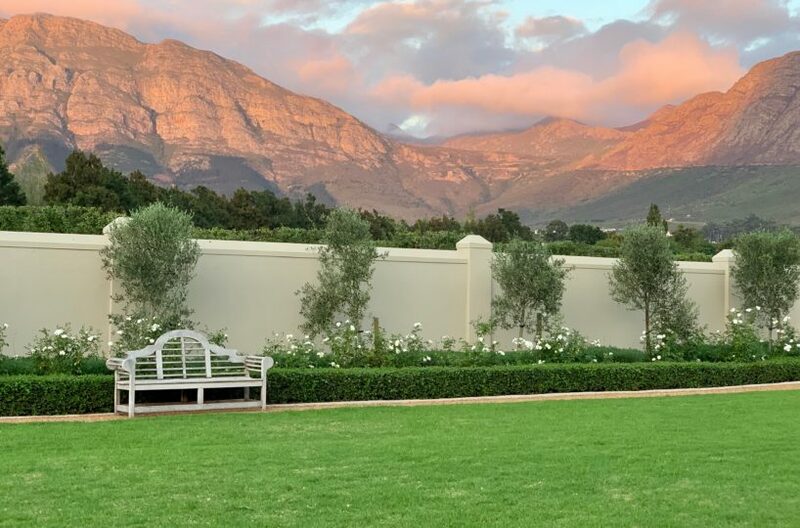 With the historic town centre only 400m from its front gate, take the chance to explore the vibrant art, decor and wine shops, or even indulge yourself to a culinary experience at one of its many renowned restaurants. 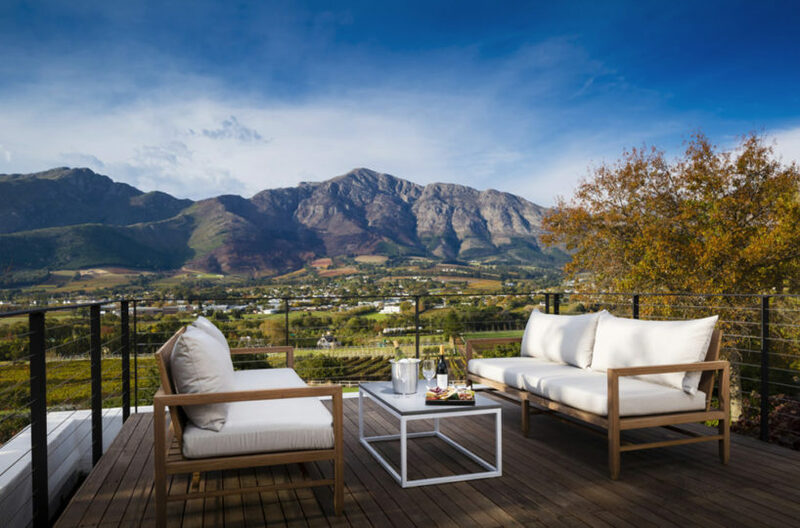 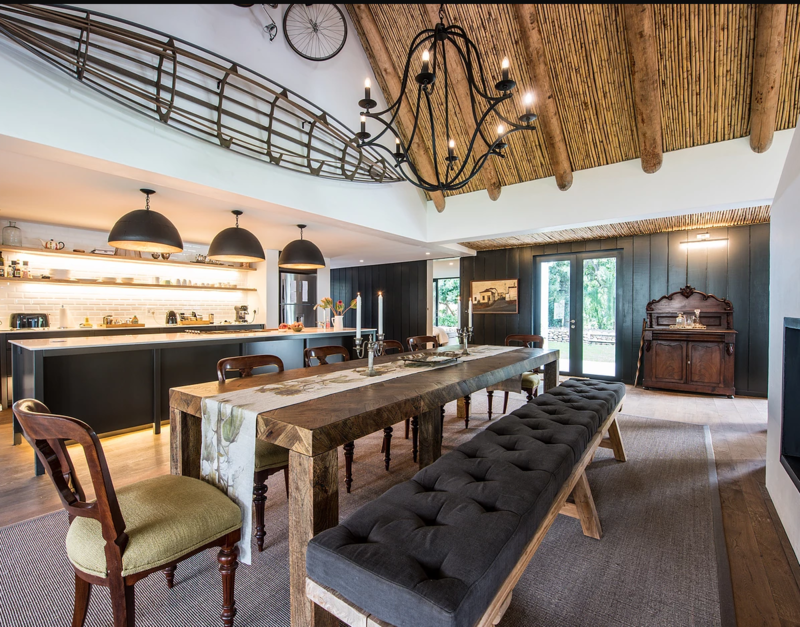 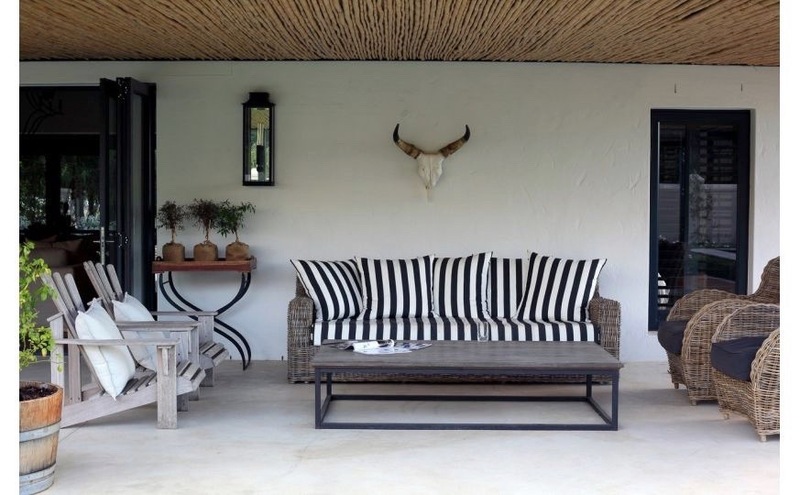 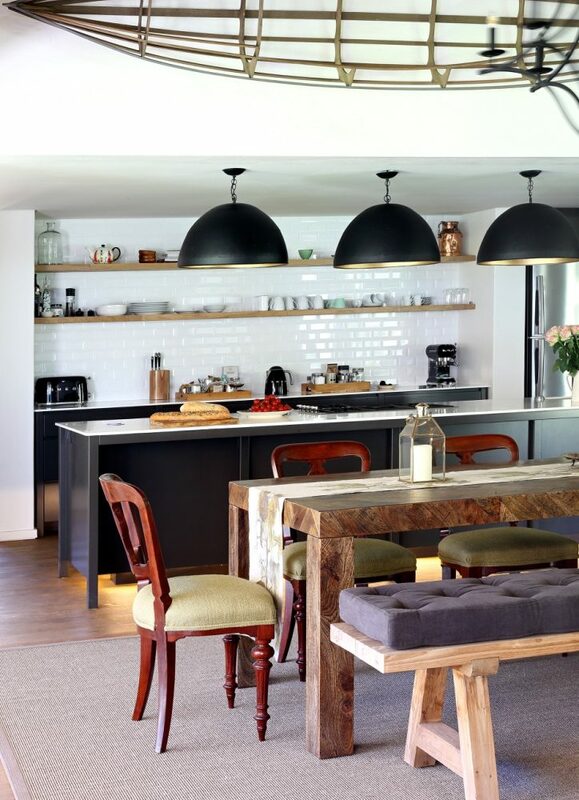 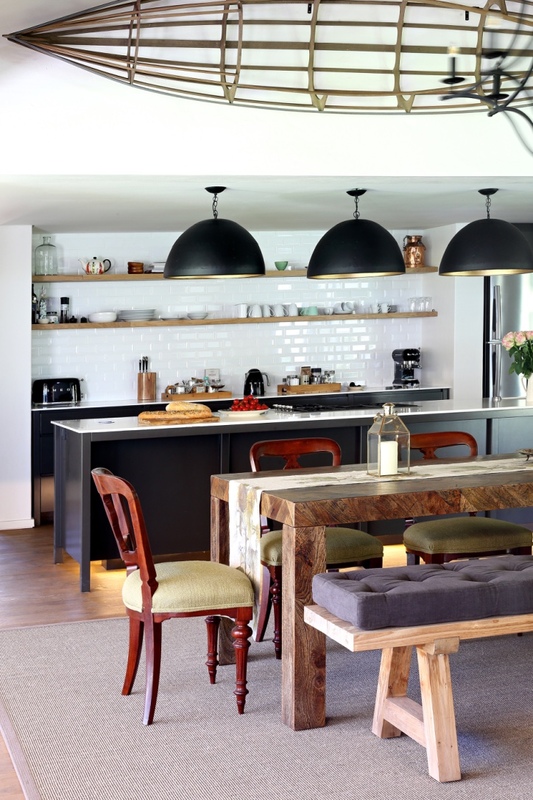 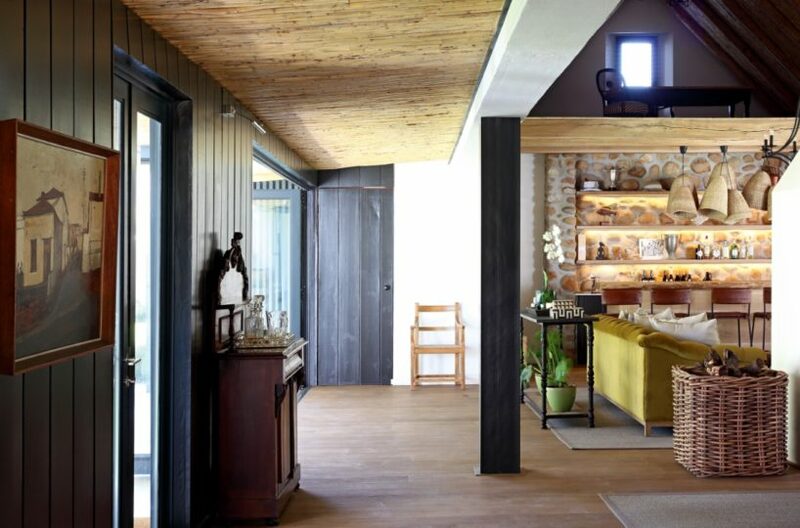 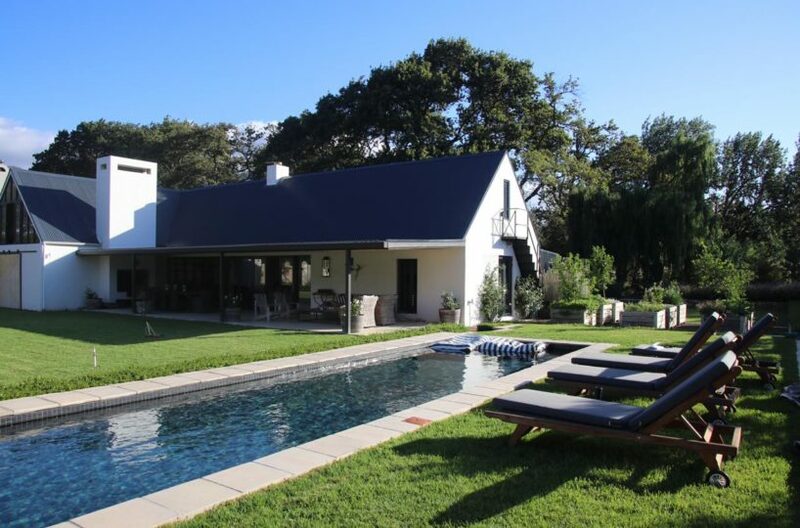 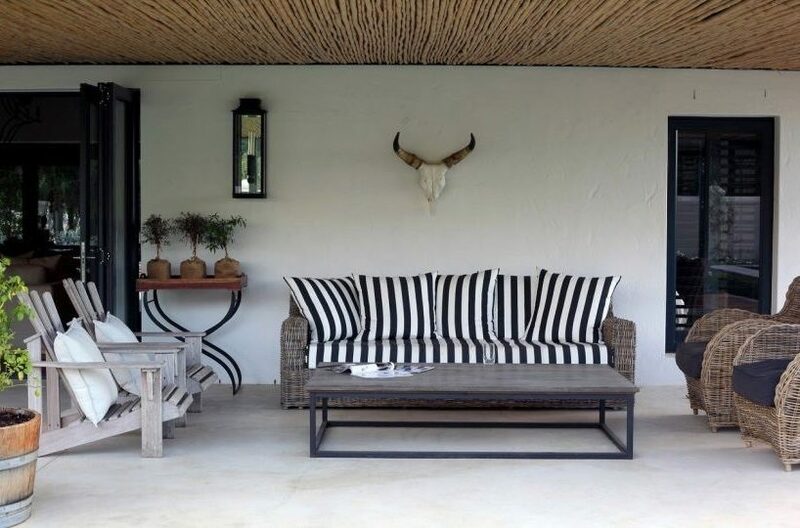 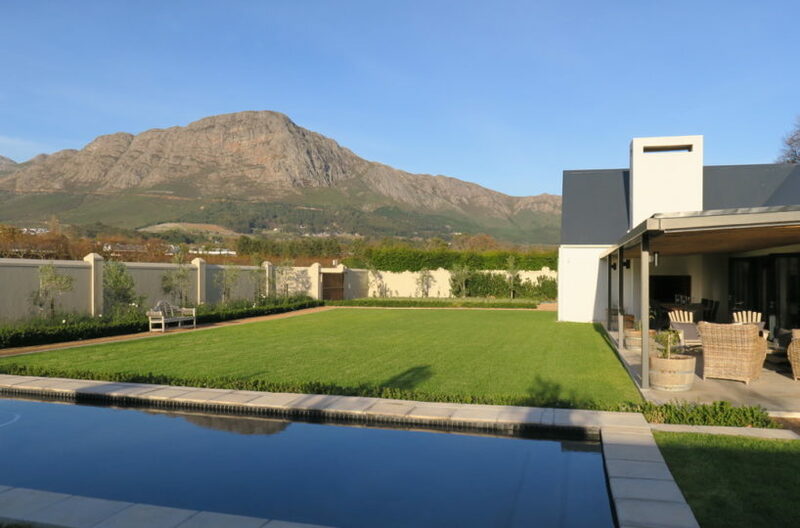 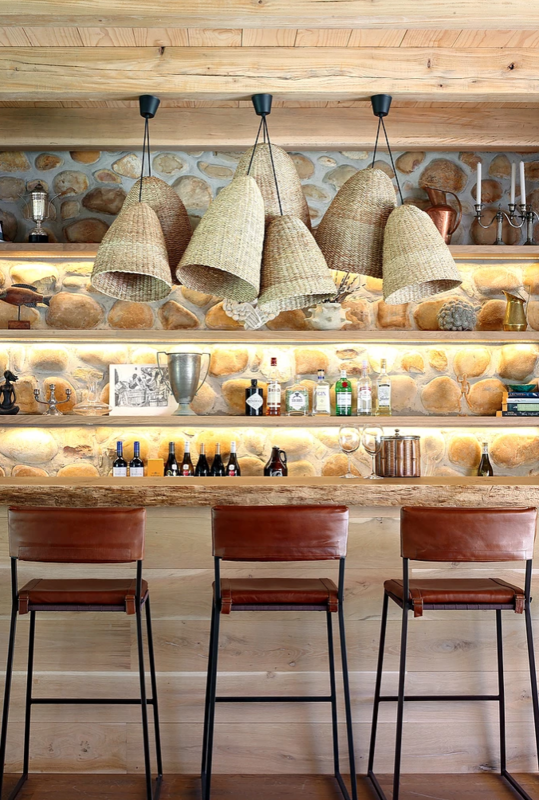 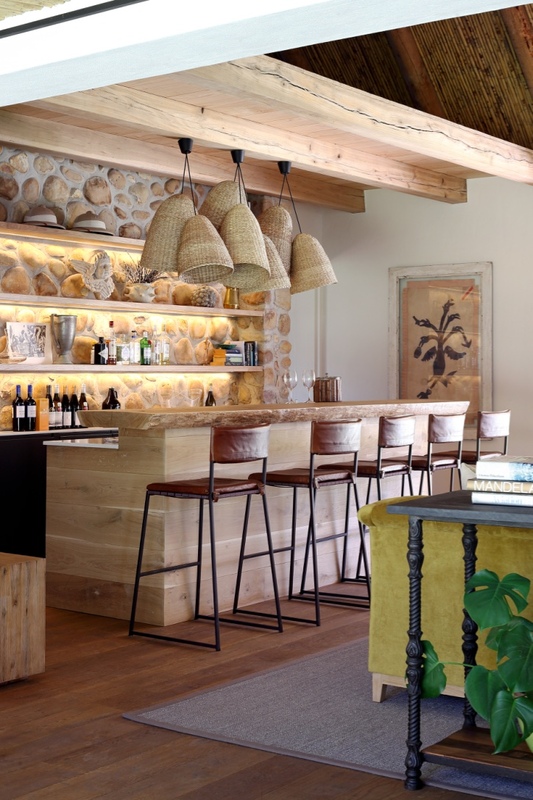 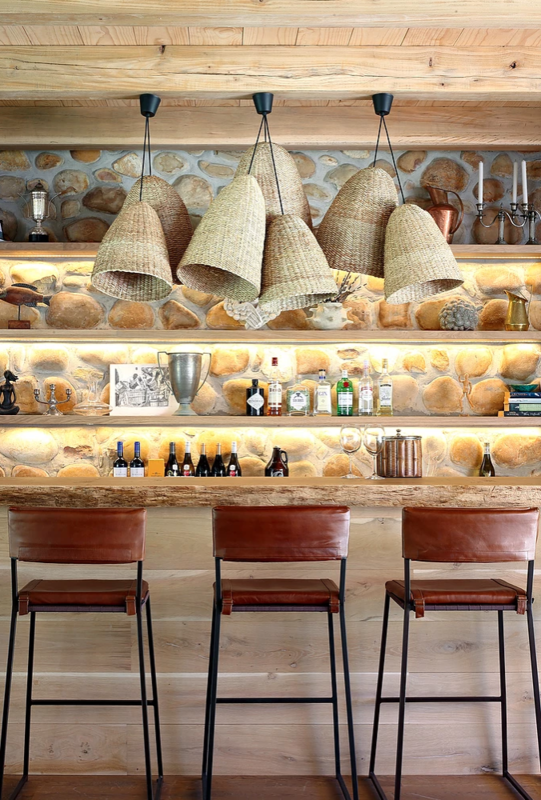 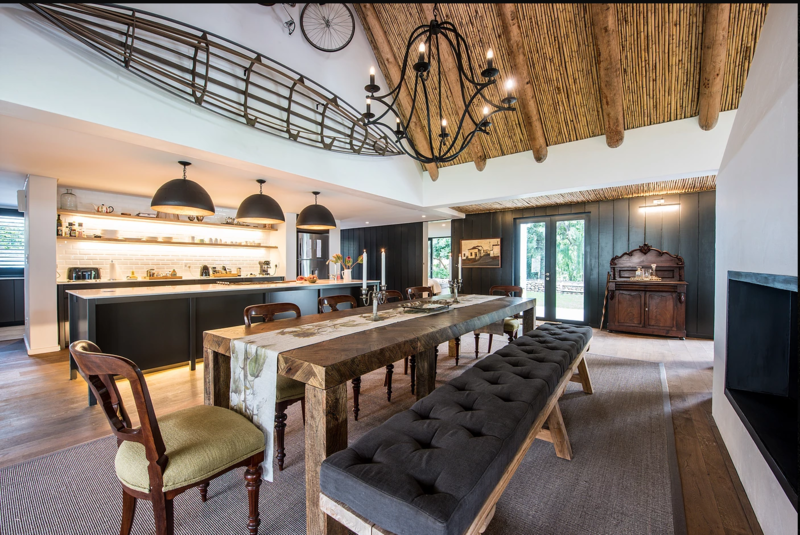 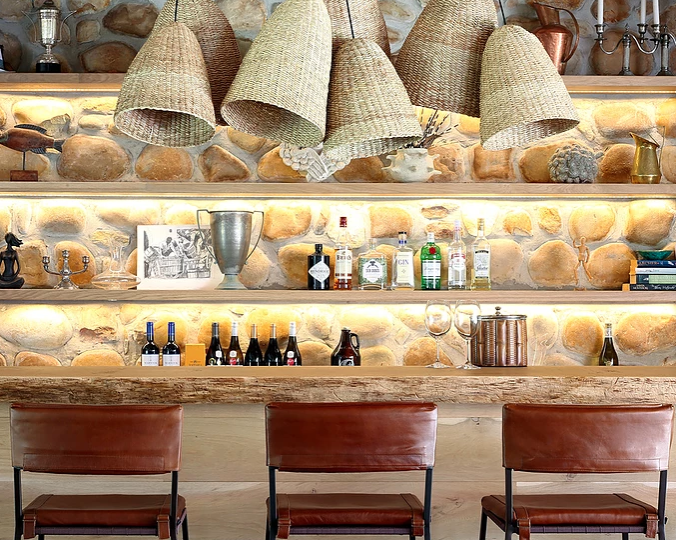 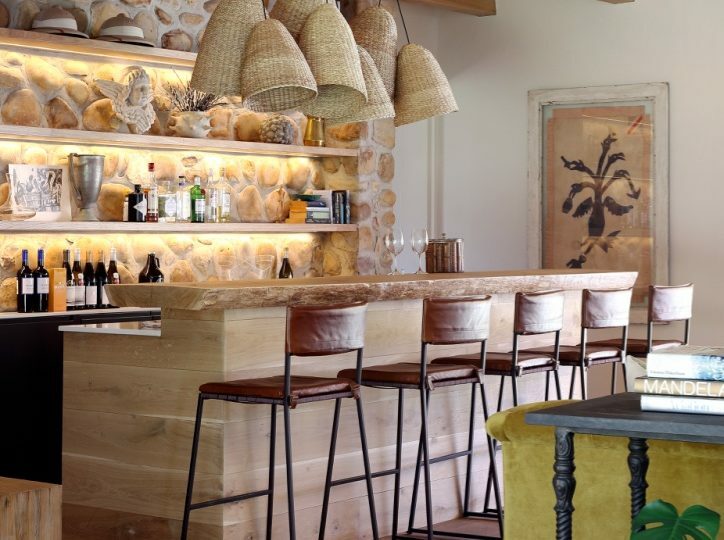 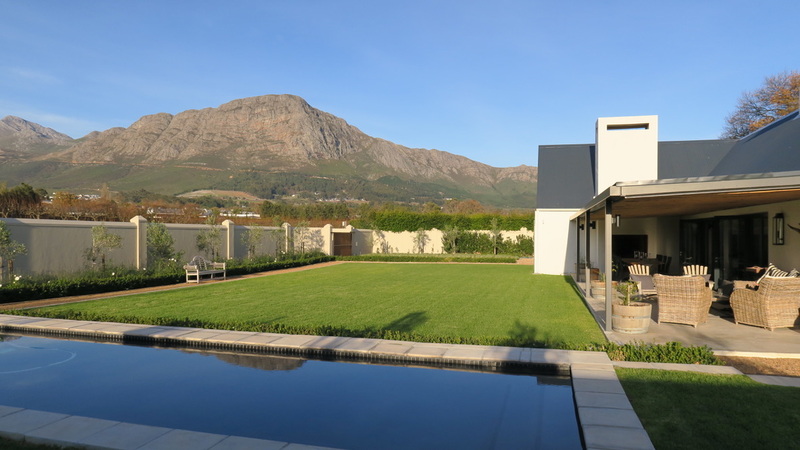 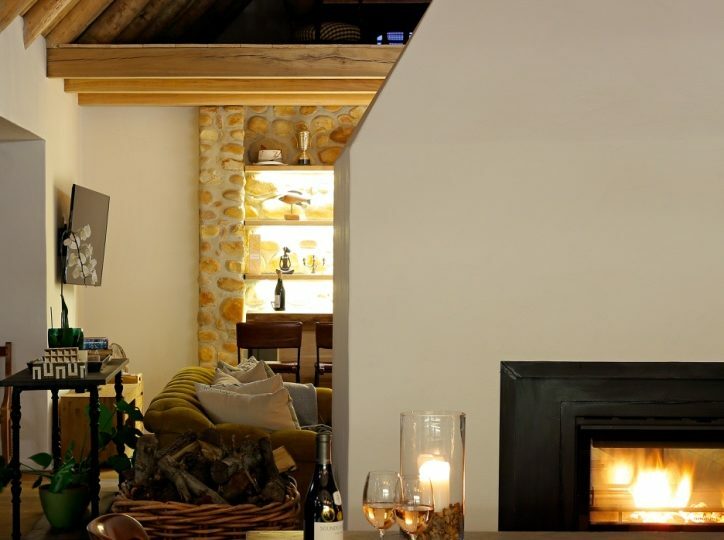 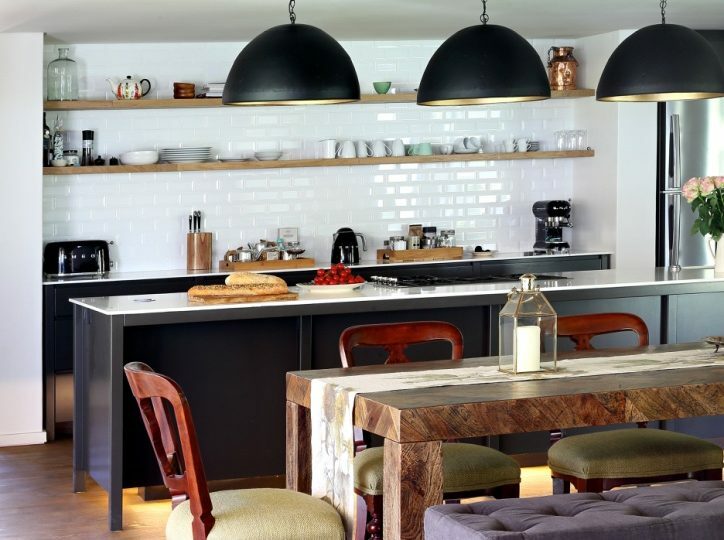 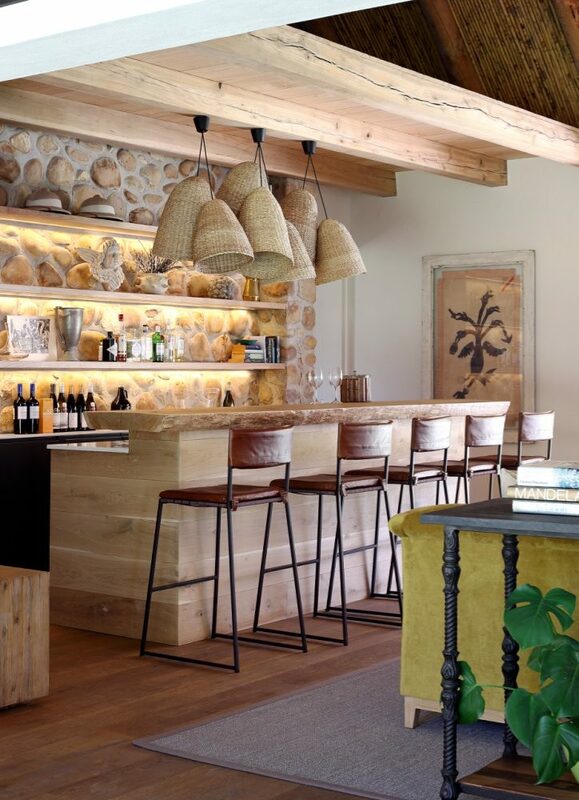 Despite being one of the original farms in Franschhoek, the River House offers modern living in a countryside setting. 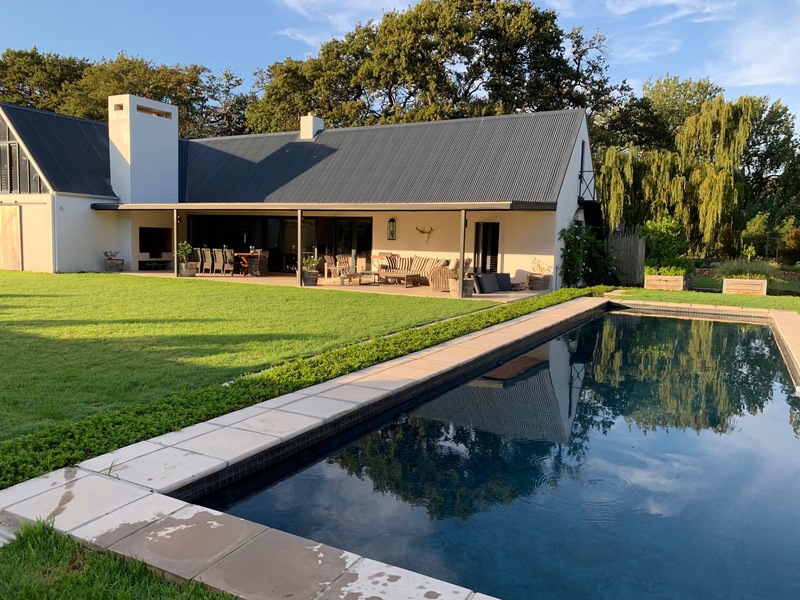 Immaculately decorated with sumptuous soft furnishings and all the latest fixtures and fittings, the house is open plan with a large, central, double-sided wood fireplace separating the living area and the kitchen / dining room. There are four large double bedrooms with king size beds, luxury linen and spacious en-suite bathrooms. 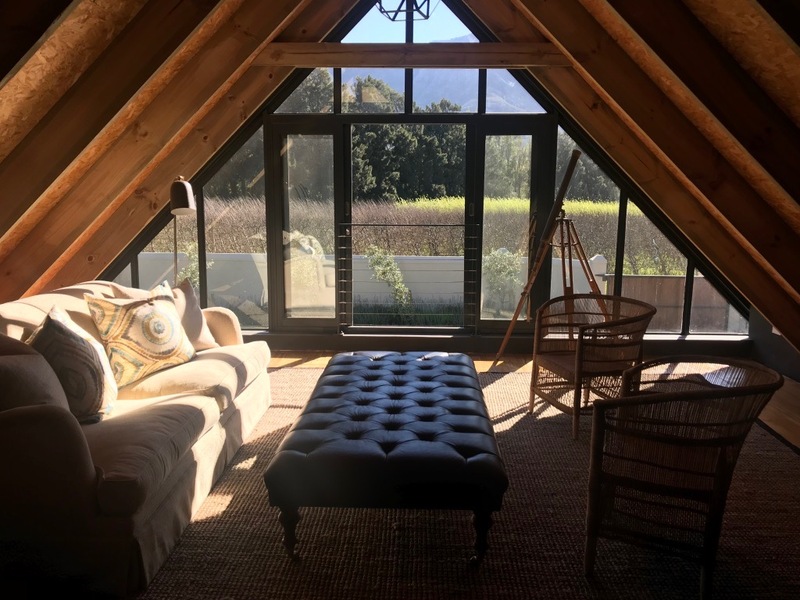 Luxurious bedroom overlooking the orchard garden. King size bed with 300 thread count linen. 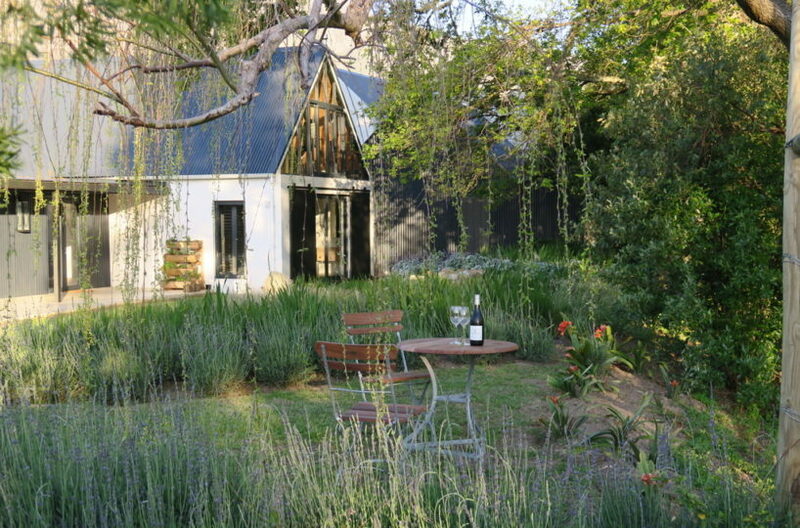 En suite full bathroom with romantic outside shower and heated towel rails. Spacious room with panoramic views of the mountain. 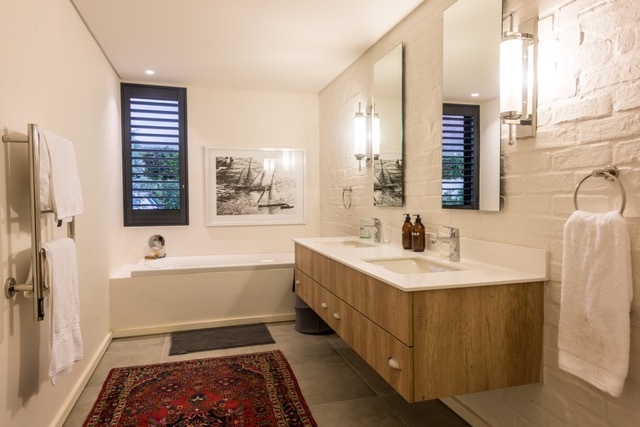 En suite bathroom with bath tub and heated towel rails. 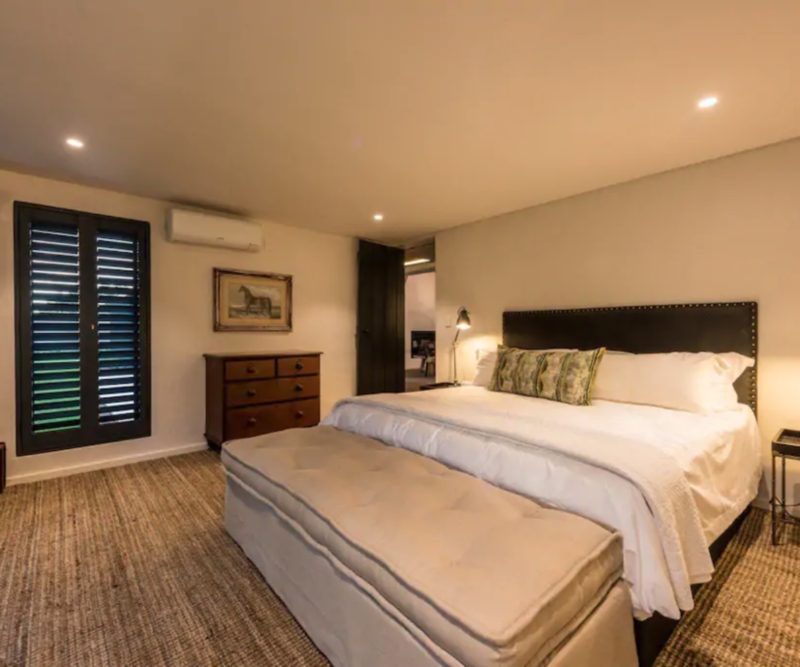 Peaceful bedroom with soft sounds of the river. 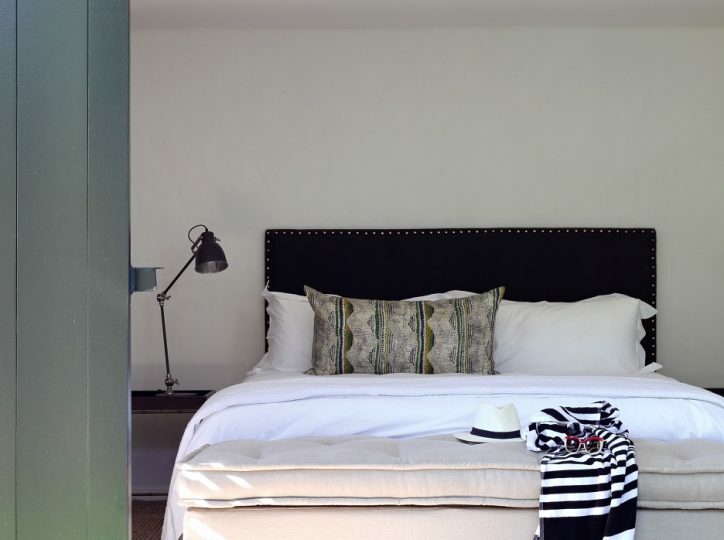 En suite bathroom with shower and heated towel rails. 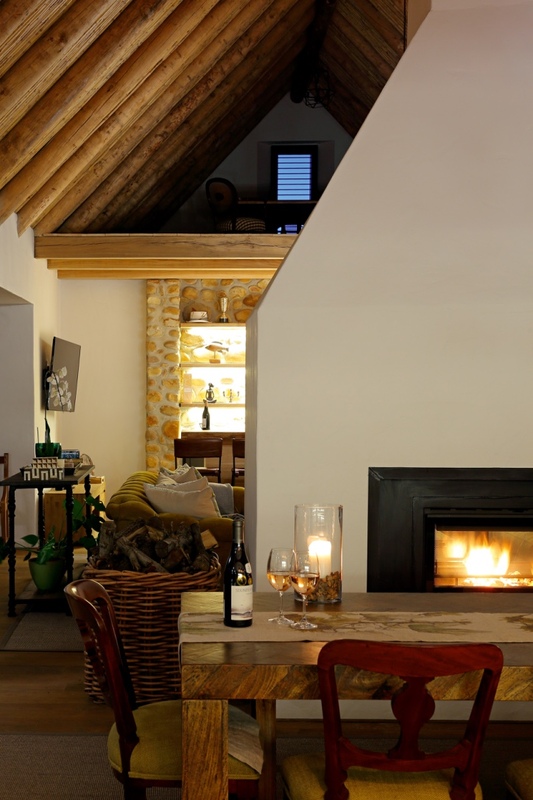 Romantic or family suite with living area and open plan bathroom. 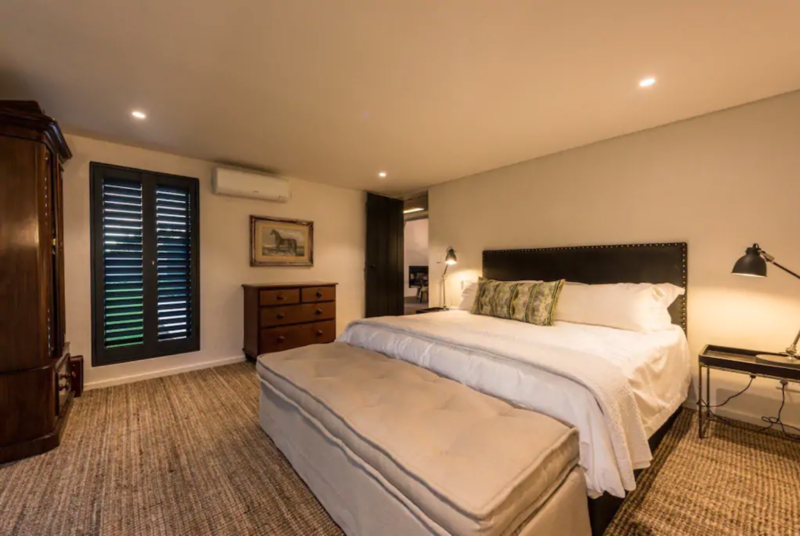 Two 3/4 beds with 300 thread count linen. 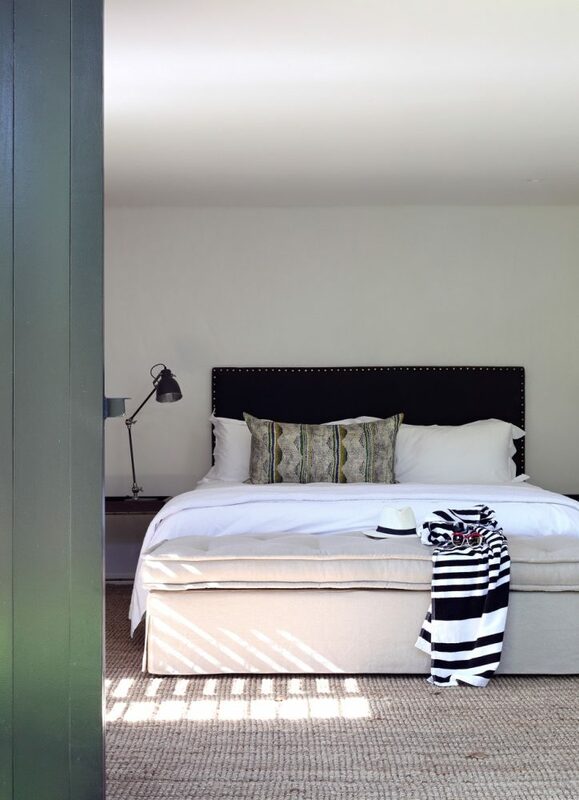 En suite open plan bathroom with bath tub and heated towel rails.